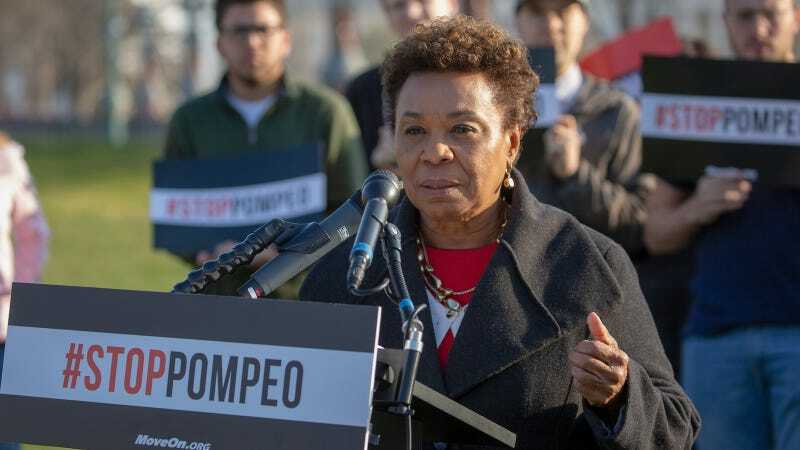 California Congresswoman Barbara Lee, one of the most progressive members of the House, is making a bid for House Democratic caucus chair. Her election would be a clear sign that progressives in Congress are mobilizing to reshape the Democratic Party; she would also make history as the first black woman to hold the position. Lee, who voted against the 2002 bill that established the Department of Homeland Security and, with it, Immigration and Customs Enforcement, has been a consistent critic of government militarization and the only representative to vote against authorizing military force in response to 9/11. She has served as the chair of the Congressional Black Caucus and former co-chair and current whip of the Congressional Progressive Caucus. “When you look at the history of the Democratic Party and the Democratic leadership, African-American women...we’ve been the backbone of the Democratic Party—we should be in the face of leadership also,” she told Politico. Black women can “lead not only our communities, but lead our country, on the very tough issues facing us.” Black women warned America about Donald Trump and saved Alabama from Roy Moore, yet the Democratic establishment continues to support lame white dudes. In fact, Lee’s 2018 bid is part of a pretty remarkable transformation happening at the grass roots level of the Democratic Party, including Alexandria Ocasio-Cortez’s—a young woman of color and an unapologetic democratic socialist—improbable win against a top-ranking centrist white man, incumbent Joseph Crowley in the Bronx. Crowley was expected to chair the Democratic Caucus in 2018. Unlike other Democratic leaders, Lee wants to make space for younger progressives who are, frankly, taking the Democratic Party off life-support. “I’m right there in terms of generational input and understanding that the path is important — but we have to build on that and mentor young people, and younger members and open up space so members can move up,” she said.